Exciting Ooty Group Tour Packages: If you are looking for a holiday destination that is ideal for nature lovers as well as adventure enthusiasts then "Ooty - the Queen of Hill stations" is the place to be. 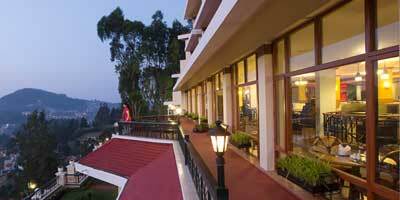 Ooty, also known as Udhagamandalam is the capital of Nilgiris district. Originally a tribal land occupied by Todas and other tribes, Ooty served as the summer capital of the Madras Presidency and was a popular tourist spot for Britishers during the colonial days. Situated at an altitude of 2,240 meters above sea level, Ooty with its picturesque locations, scenic tea gardens, lofty mountains, beautiful lakes and exotic fauna attracts a number of tourists every year. Also known as "Blue Mountains", Ooty offers something for everyone - be it honeymoon couples looking for a serene location to spend some quality time together or families looking for a place with a lot of sightseeing options or a group of travel enthusiasts who crave for adventure sports. Travellers coming on group tours to Ooty have a number of options to explore once in this beautiful hill station. The train journey from Kallar, Mettupalayam to Ooty is something that should be definitely experienced with your group of friends while enjoying the sharp curves and deep tunnels amidst beautiful mountains and splendid tea gardens. The sprawling Botanical Gardens, enchanting Ketti valley, beautiful Rose Garden, splendid Ooty Lake, traditional Toda huts, picturesque Doddabetta peak, the sacred Pykara river, mesmerising Pine forest, Mudumalai and Mukurthi National parks preserving the wildlife are some of the must visit places in Ooty. Going on a group tour to these places while enjoying a sip of hot tea in a chilly weather is a different experience altogether. People coming on Ooty group tours look for adventure options and other recreational activities and Ooty doesn't disappoint them. With its diverse landscape, Ooty offers the adventure lovers an opportunity to try out different adventure sports like trekking, hang gliding and angling. Ooty offers a number of trekking routes that one can choose from depending on the distance, altitudes and terrain. The base camp at Parsons valley is one such trekking point from where one can go for trekking, thoroughly guided by professionals amidst the rugged hills of Nilgiris. The best time for Ooty Group tour, specially to go for trekking is during winter when the temperature is quite low. Hang gliding is another adventure sport that can be enjoyed here. Kalhatty, located around 20 km from Ooty, is the perfect site for hang gliding. Hanging from a hang glider and experiencing flying in the sky like a bird is an out-of- the-world experience that everyone should seek. Hang-gliding courses are usually organized from March to May in Ooty. Angling is another simple sport thoroughly enjoyed by groups in Ooty which involves fishing in clear waters of the rivers in Ooty. Be sure to be properly equipped and get ready for some adventure when visiting Ooty on group tour with your friends and colleagues. Ooty is also a popular shopping destination. Shop for Nilgiri tea, eucalyptus oil, spices, homemade chocolates and fudges to treat your loved ones. Make your group tour to Ooty much more organized and enjoyable with the varied ooty group tour packages offered by Holidays DNA, your travel partner. We, at Holidays DNA make your holiday perfect with our experience in organizing group tours at affordable prices so that you can cherish the moments spent in the Queen of Hills for a lifetime.